Zaker Chiropractic treats a complete range of acute and chronic pain conditions related to knee pain, from musculoskeletal ailments to common sports injuries. From our 3 facilities in Torrance, San Pedro and Newport Beach, our team of chiropractors and rehabilitation specialists provide knee pain treatment through chiropractic care, cryotherapy, physical therapy and strength training, injury rehabilitation and massage therapy. One of the most common conditions our knee injury doctors treat among our active patients are injuries related to the thigh muscles, tendons, ligaments and knee caps make up the majority of knee injuries. The knee is designed to flex back and forth and is very stable during these movements. Injuries typically occur when the knee experiences a sheering or twisting force. This can stretch and tear ligaments and tendons, causing pain, inflammation, weakness and loss of range of motion. Common knee injuries include ACL tears, runner’s knee, dislocation of the joint or kneecap, overuse and arthritis. This condition can make walking, running or climbing stairs difficult, make it impossible to lift heavy objects, and often leads to other problems such as foot, ankle and back problems as your body struggles to redistribute the weight to alleviate pressure on your injured knee. 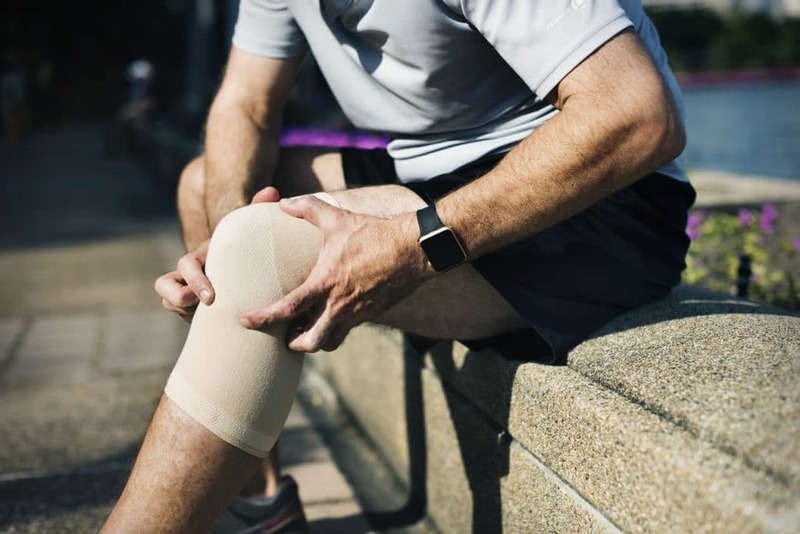 Acute Knee Injury: An acute knee injury is one where there has been an obvious traumatic incident which has caused damage to the knee, such as a broken bone or torn ligament. This may come as the result of an auto accident, a sudden stop or awkward turn, or a slip-and-fall incident, and is often seen in common sports injuries. Medical Conditions: This type of knee pain comes from some type of genetic or medical condition, which leads to ongoing pain. Arthritis, for example, causes chronic pain and inflammation in many joints, including your knees. Fibromyalgia may also cause pain in your knees with the exertion of standing or climbing stairs. Chronic Use/Overuse Conditions: Some conditions are due to normal wear and tear, repetitive motions involved in your job or sporting activity, or the degeneration naturally involved with aging. This might include osteoarthritis, patellar syndromes or damage to the cartilage under the kneecap, tendonitis, and bursitis. Our chiropractic and wellness team will evaluate the cause of your knee pain, look at the extent of your knee injury, and develop a comprehensive plan for knee pain treatment that’s right for you. We are not limited to one particular healing approach; we offer several natural treatment options to help reduce your pain and improve the function of the joint including chiropractic adjustments, physical therapy, cryotherapy, strength training and cold laser therapy. The first goal we have for all our patients is the reduction of pain and inflammation. We accomplish this by using a combination of therapies. Once your pain and inflammation are reduced and the healing process has started, it is time to strengthen your muscles and improve your flexibility with physical therapy. PT involves the use of specific exercise and stretches to increase muscle strength and improves the flexibility and range of motion of injured joints. This is particularly helpful if your knee and ankle injuries were caused by improper movements due to weak muscles. We have successfully helped thousands of injured patients recover from knee pain. To schedule an appointment for knee pain treatment, call your nearest facility for a consultation. Call 424-235-1562 for our Torrance office, 949-734-4454 for our Newport Beach location, or 310-831-0003 for our San Pedro office.